Heavy Duty, Highest Quality, Made in the USA! 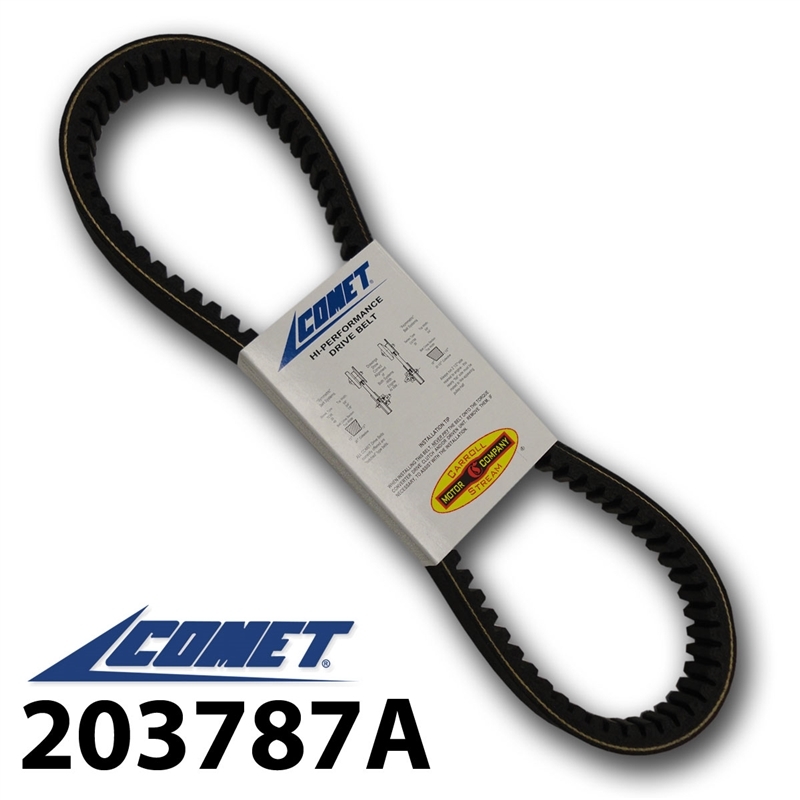 Comet 203787A Go Kart Belt. Replacement belt for Comet Industries 40-95, COMET 203787 and 203787A. Replacement for 40-95 OEM Torq-a-verter belt.7/8" Top Width x 35-51/64"Length. Symmetric Cogged belt. This Drive Belt also used in ATV, Golf Carts, Snowmobiles, and Scooters.